Pendleton County is a county located in the state of Kentucky. Based on the 2010 census, the population was 14,877. The county was founded December 31, 1798. The county seat is Falmouth. The county is named after Edmund Pendleton, a longtime member of the Virginia House of Burgesses, the Continental Congress and chief justice of Virginia. Pendleton County is included in the Cincinnati-Middletown, OH-KY-IN Metropolitan Statistical Area. Edmund Pendleton (1721-1803), member of the Virginia House of Burgesses and the First Continental Congress, governor of Virginia, chief justice in the Virginia Court of Appeals. Pendleton County was created from parts of Campbell and Bracken counties in 1798 . 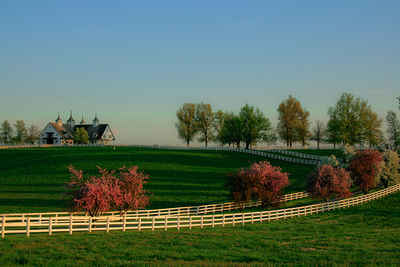 This county is located in the Bluegrass region of the state. Falmouth, the future county seat, began as a settlement called Forks of Licking, circa 1776 It was the site of the Battle of Blue Licks during the Revolutionary War. Native Americans who were helping the British ambushed Kentuckians on August 19, 1782 on the Licking River. In a matter of fifteen minutes, 60 were killed. Falmouth was chartered in 1793. Its name originated from the Virginians who settled there from Falmouth, Virginia. It was also in 1793 that one of the first sawmills in Kentucky was built in Falmouth. Falmouth was designated the county seat in 1799. 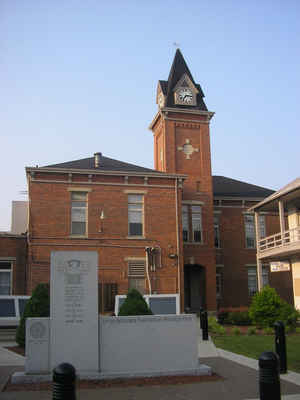 The county courthouse was erected in 1848. The county seat is Falmouth. During the American Civil War, the county sent men to both armies. A Union Army recruiting camp was established in Falmouth in September 1861. Two Confederate recruiters were captured and executed by the Union Army in the Peach Grove area of northern Pendleton County. In July 1862, a number of county citizens were rounded up by Union troops during a crackdown against suspected Confederate sympathizers. In June 1863, a number of women were arrested at Demossville because they were believed to be potential spies dangerous to the Federal government. Falmouth was the site of a small skirmish on September 18, 1862, between twenty-eight Confederates and eleven Home Guardsmen. As reported by the Census Bureau, the county has a total area of 282 square miles (730 km2), of which 277 square miles (720 km2) is land and 4.8 square miles (12 km2) (1.7%) is water. The elevation in the county ranges from 455 to 960 feet above sea level. 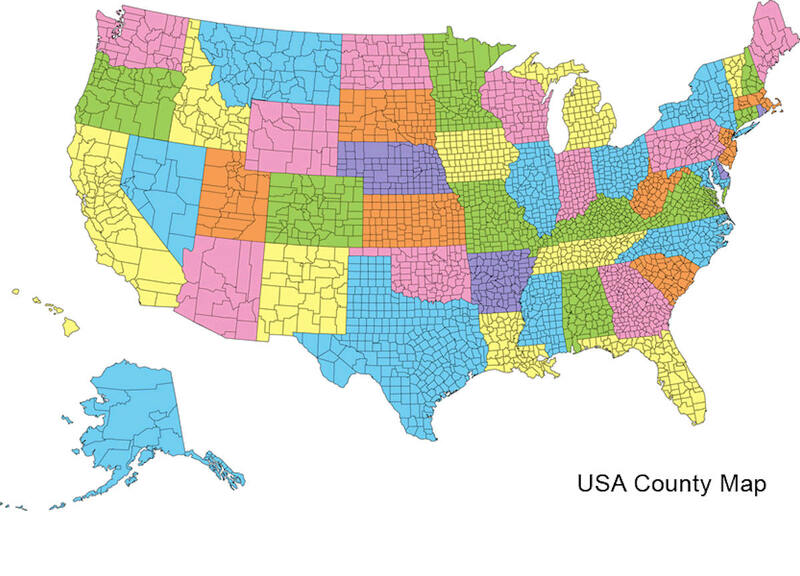 In 2000 the county population was 14,390 in a land area of 280.54 square miles, an average of 51.3 people per square mile. Pendleton county is located in northeast Kentucky.The county is bordered by the Ohio River to the northeast and the Licking River flows northward through its entire length forming amazing scenic views of the Licking River Valley. Pendleton County is also home to Kincaid Lake State Park. Pendleton County High School, just north of Falmouth, is the public high school. It currently is home to fewer than 1,000 students. The mascot for PCHS is the wildcat, and the school colors are red, black and white. The school features two gyms and a 450-seat auditorium. Other schools in the county are Sharp Middle School, named for Phillip Allen Sharp, American geneticist and molecular biologist and winner of the Nobel Prize in Physiology or Medicine (1993) and National Medal of Science (2004), located between Falmouth and Butler, Northern Elementary in Butler, and Southern Elementary in Falmouth.